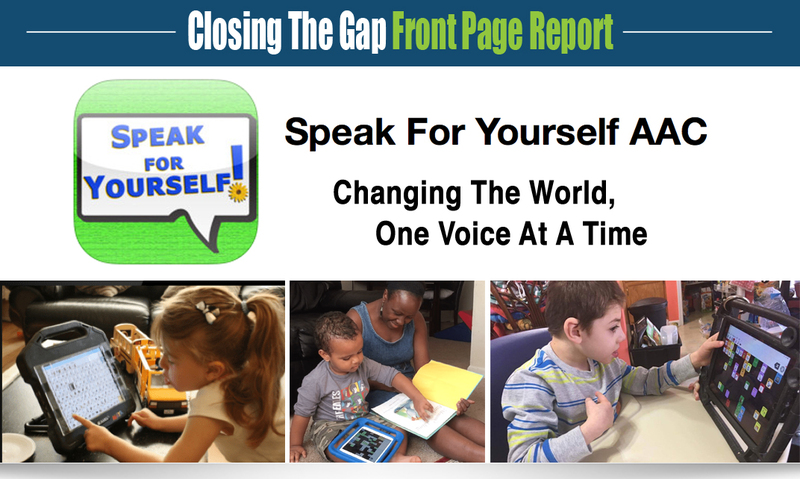 Speak for Yourself (SfY) is an Augmentative and Alternative Communication (AAC) application that was created by speech-language pathologists. 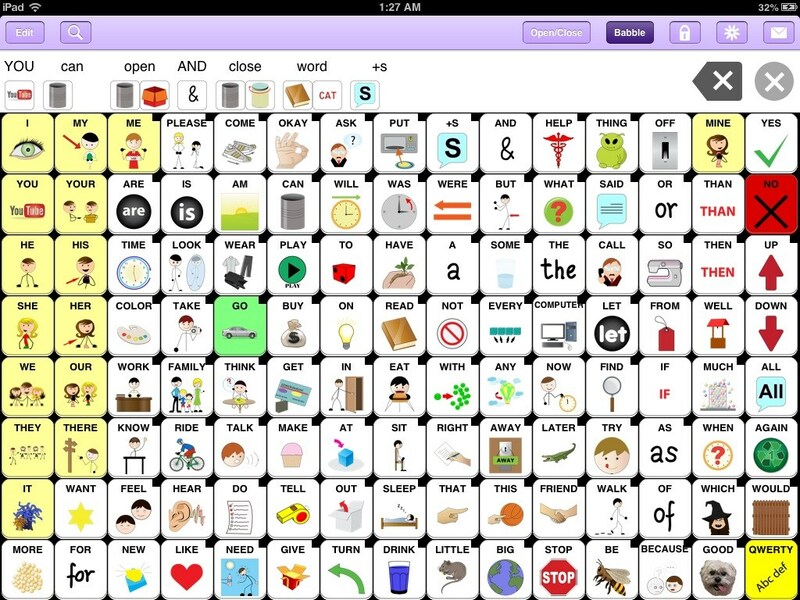 This AAC app turns the iPad into a communication device. It gives a voice to adults and children who are not able to speak or are limited in their ability to express themselves verbally. Speak for Yourself is being used by thousands of individuals around the world with autism, cerebral palsy, apraxia, and genetic syndromes. Additionally, it is also being used in preschool classrooms to promote word-finding, visual language support, and verbal speech development. If you know someone who has complex communication needs (CCN), this AAC app bridges the gap between current communication abilities and all that the individual wants to say. 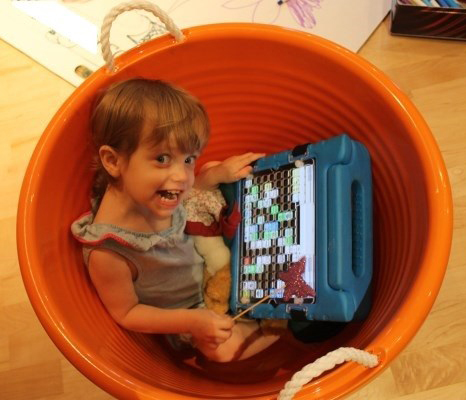 Using AAC does not interfere with the development of verbal speech…in fact, it promotes it! Many parents say that using a device to provide communication is the single best thing they did for their child’s verbal speech! Speak for Yourself AAC Language App was designed by two ASHA-certified speech-language pathologists (SLPs) with an extensive knowledge of AAC devices and implementation. Vocabulary is based on research of the most commonly used words across age, languages, settings, and situations. Eighty percent of the words that they use to communicate are comprised of a core vocabulary of 300-500 words. This means that approximately only twenty percent of a person’s vocabulary is “personalized.” One hundred and nineteen of these core words constitute the main screen of Speak for Yourself. 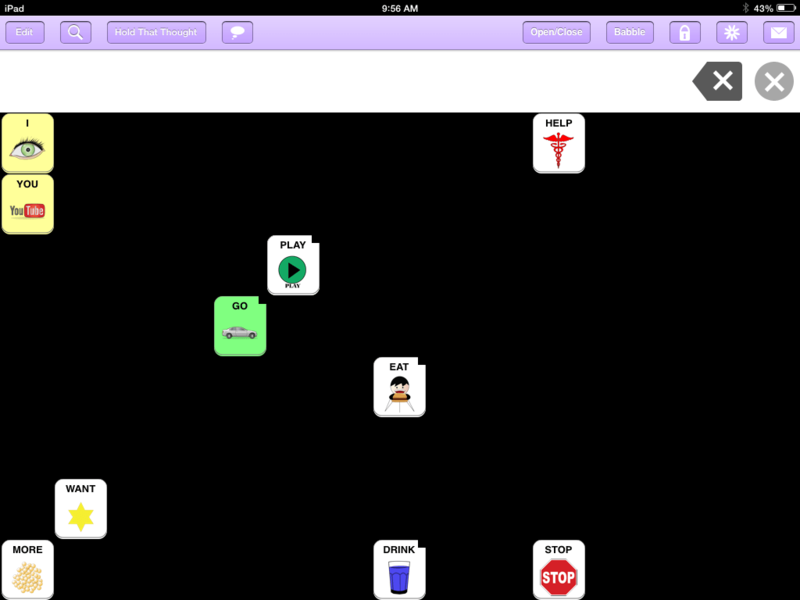 Each of these buttons links to additional related core vocabulary words and personalized, programmable vocabulary. Open and close feature allows users to begin with only one word and add to their vocabulary at their own pace. The first word the user learns never changes position. This means that the user will never have to learn how to say that first word again, even if their vocabulary grows to the more than 13,000 words that Speak for Yourself can hold! Babble feature allows users to explore vocabulary by opening every word in the application by touching one button. Just as a baby, practicing to speak, “babbles” by exploring his mouth’s motor movements and hearing the sounds produced, the user can explore the words available in Speak for Yourself with alternative motor movements (e.g. using his hand). The user can be returned to their customized setting by touching the same button to turn “babble” off. Edit and add words using an intuitive interface. When you want to add a new word, decide where you would like it to be, while looking at the screen, touch the edit button and the screen will turn gray. You’ll be able to view the available buttons. Touch the gray button where you would like to add your new word. The edit popover will appear If you would like to use a photo, begin with “image options.” You’ll be given a choice to “take photo” or “choose photo” from your iPad® 2 photo album. If you would like to choose a symbol, touch “add image” and you will be directed to select a symbol. You can scroll alphabetically or touch the search window and a keyboard will pop up. Type the word you would like to add or a symbol name that would represent that word. When you’ve found the desired symbol, touch it, displaying it on your edit screen. If the “word to speak” matches the word you wanted to add, touch “Done” on the edit pop over and “Done” in the top left corner to exit “Edit mode,” your new word is ready to use! If the “word to speak” is not exactly what you want it to say, touch the “word to speak” window, to change it. No duplication feature: How many times have you looked at a child’s device and there are five different ways to say “bathroom?” Their mom shows them one way to say it, their teacher uses the word “bathroom” in a different location, and their speech therapist uses the word “bathroom” in yet another location. When one of the people in the child’s life forgets where the word “bathroom” is located, she adds it again. The child is shown all of these different motor movements to say the same word. Once a verbal child learns the motor movements to say a word, they never have to learn a “new way” to say that word. A nonverbal child has that same ability with the no duplication feature. If you are attempting to add a word that is already in the application, a window will pop up, alerting you that it is a “duplicate word.” It will also tell you the home screen word you can touch to find it and allow you to use the Search Feature to find the word. The Search Feature has been described as a “game changer,” allowing educators, therapists, and parents to capture teachable moments and find vocabulary quickly. Touch the search symbol in the upper left hand corner if you are looking for a word. A purple box will appear and blink on the main screen word and then the secondary screen to show you how to say the word. If you have vocabulary closed, don’t worry…the app will open the buttons you need to say the word! You can change the symbols for the protected core vocabulary words. The word and position remain consistent, but use the symbol that you think will benefit the person using the app! The top right hand corner of the main screen buttons are “cut out” if that button links to a secondary screen. This is based on feedback that users of the app want to be able to differentiate if the button will immediately speak or go to a secondary page. Save vocabulary settings for multiple users! You can add as many users as your tablet memory can hold. If you’re trialing Speak for Yourself for several children on your caseload, you can switch between their customized settings and then save and transfer their setting when they get their own tablet. Speak for Yourself AAC Language App is an application designed by two ASHA certified speech-language pathologists (SLPs) who work exclusively with clients who are functionally nonverbal. 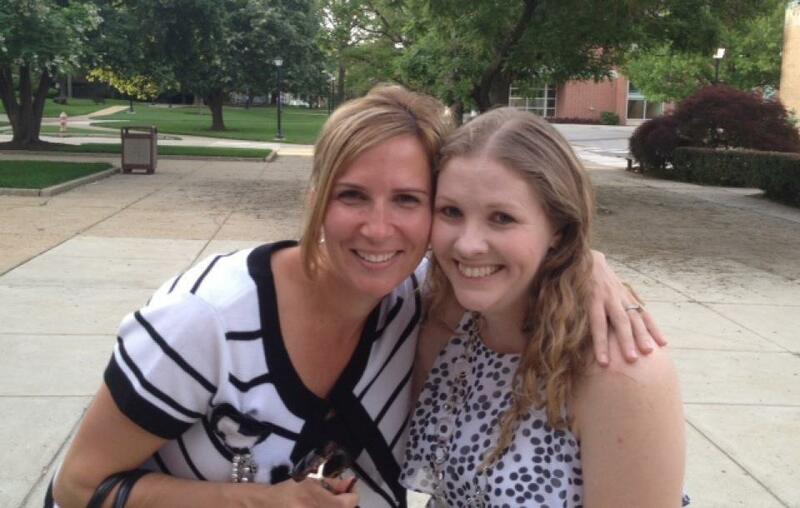 Heidi LoStracco, MS, CCC-SLP and Renee Shevchenko, MA, CCC-SLP have worked together for several years teaching children who are not able to talk to use Augmentative and Alternative Communication (AAC) devices. The pair have seen success, and have presented results and videos at several national conferences. Following the implementation of an AAC device and the use of motor planning principles, five of the twenty-eight children in their study diagnosed with autism, developed verbal speech, and no longer needed to use the device to communicate. Of course, Mrs. LoStracco and Mrs. Shevchenko caution that “not all children will develop verbal speech, but our data shows that using this strategy and an AAC system with specific features has expanded language skills for individuals regardless of their age or disorder. Mrs. LoStracco added, “As the children begin to gain knowledge of their communication system, we’ve seen a decrease in negative behaviors.